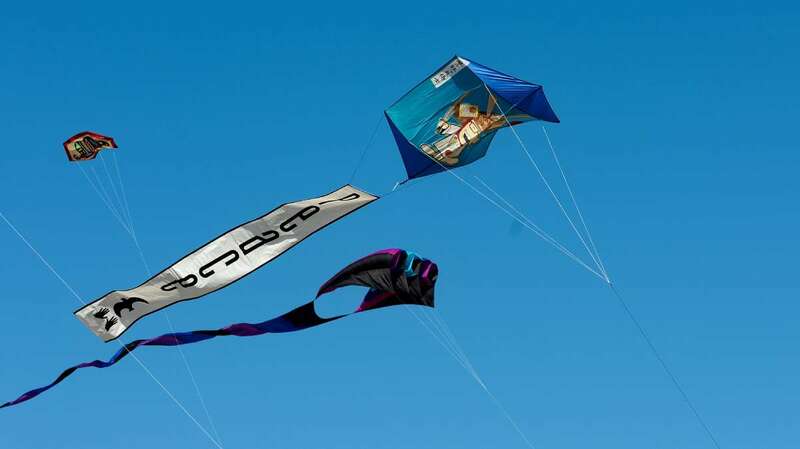 The breeze on Sunday was just enough to keep most show kites in the air on Long Beach Island this weekend. 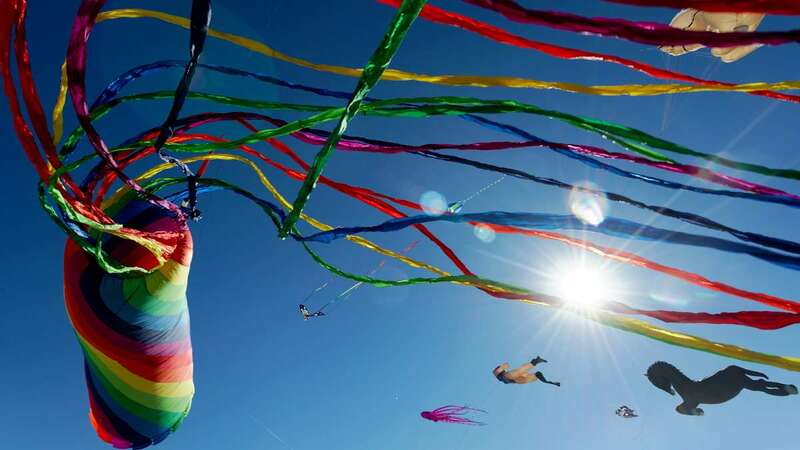 The sky above the beach at Ship Bottom, NJ was filled with colors as dozens of kites floated above. 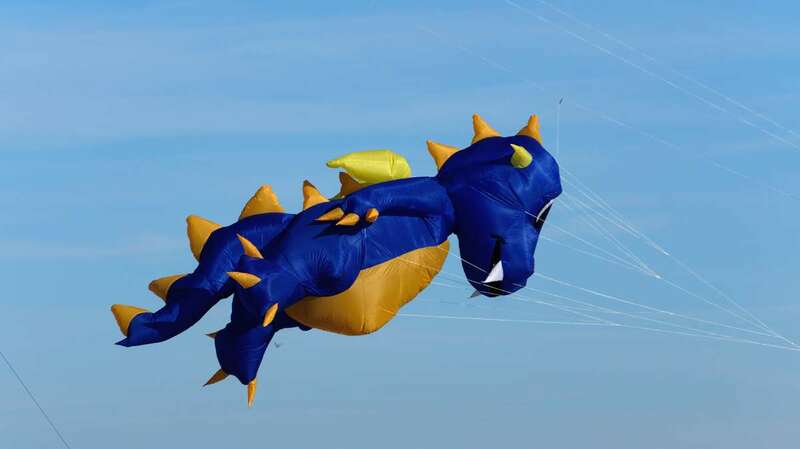 But the 7 mph wind wasn’t enough to lift the largest kites of the ground. 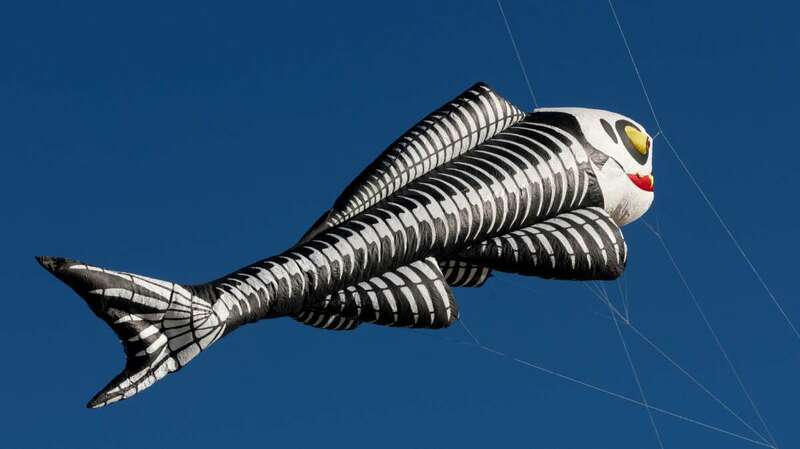 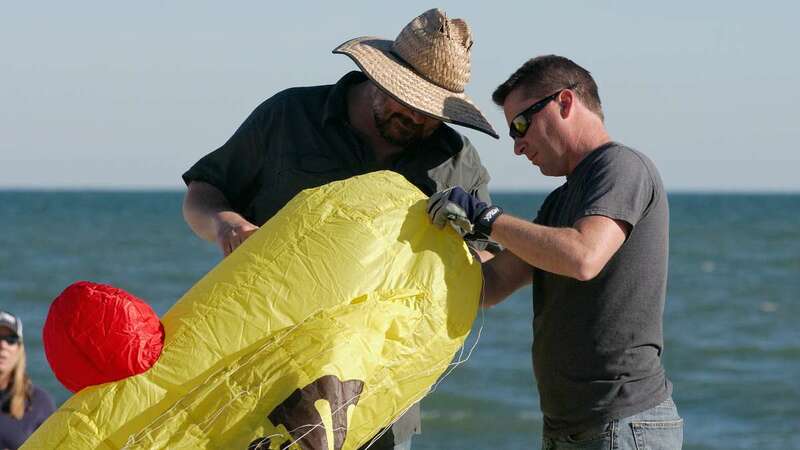 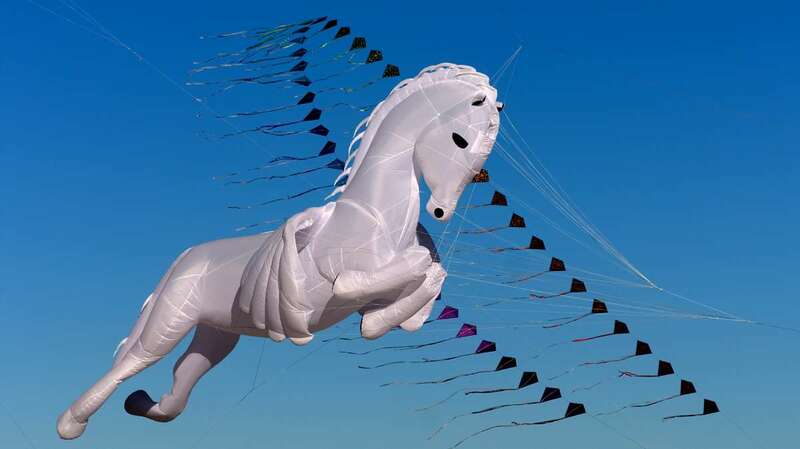 The popular Whale remained bagged at the inaugural LBI FLY International Kite Festival. 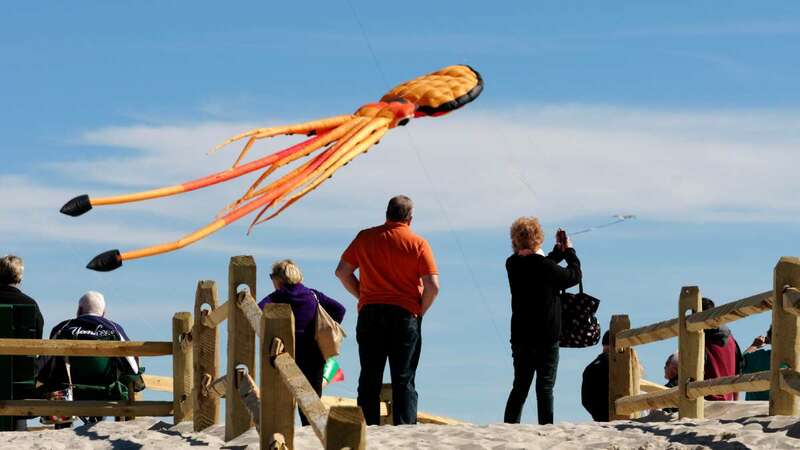 The festival runs Oct 9-12, 2015 on Long Beach Island. 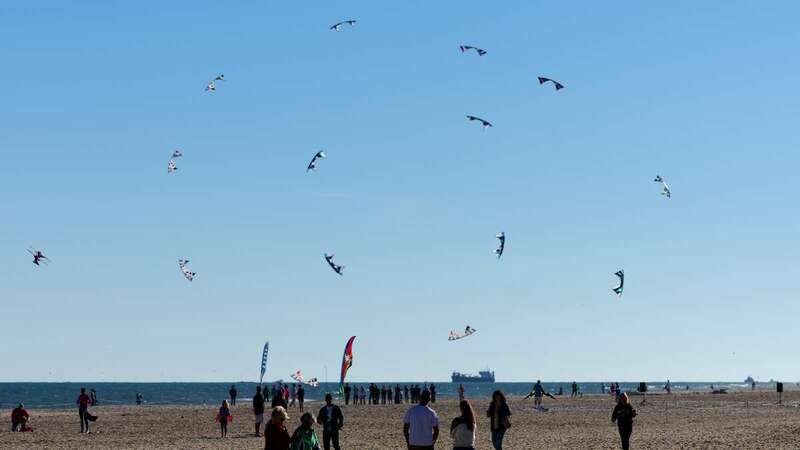 Hundreds of kite flyers and families who came to the beach to see the kites mingled between ground art and kite lines. 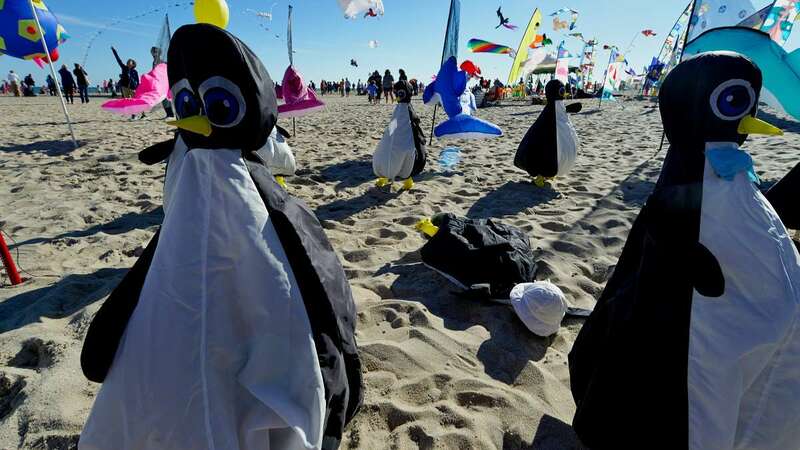 At other events down the Shore kites and specters are separated by roped lines. 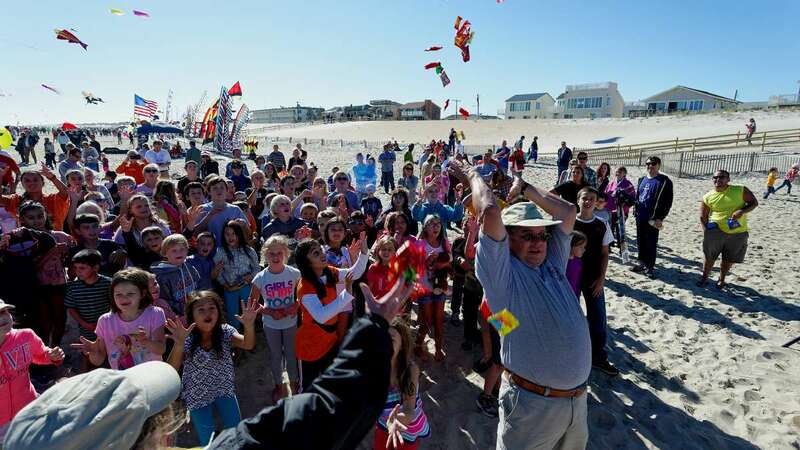 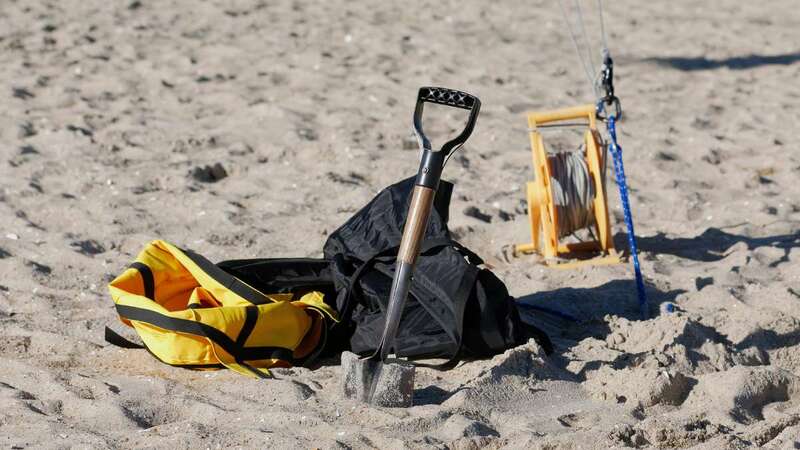 Here people come out, interact and having a blast said president of the South Jersey Kite Flyers (SJKF) Mike Dallmer, Sr., of Northeast Philadelphia. 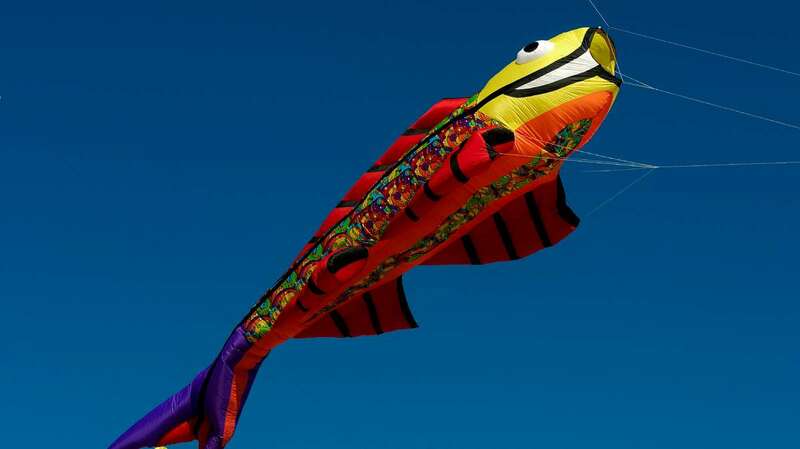 He, his wife and son travel up and down the coast visiting kite festivals and often participating in them. 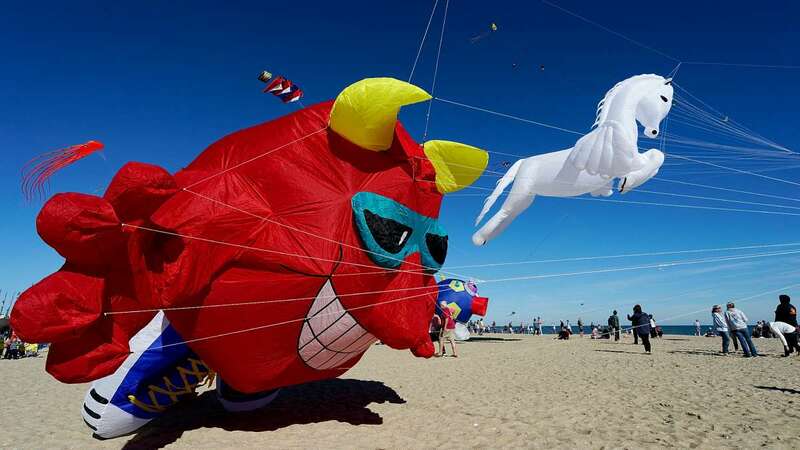 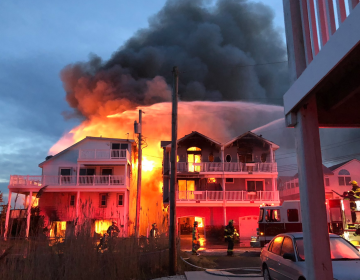 The season starts at Memorial Day Weekend in Wildwoods and this is the last large event of the season, he explains. 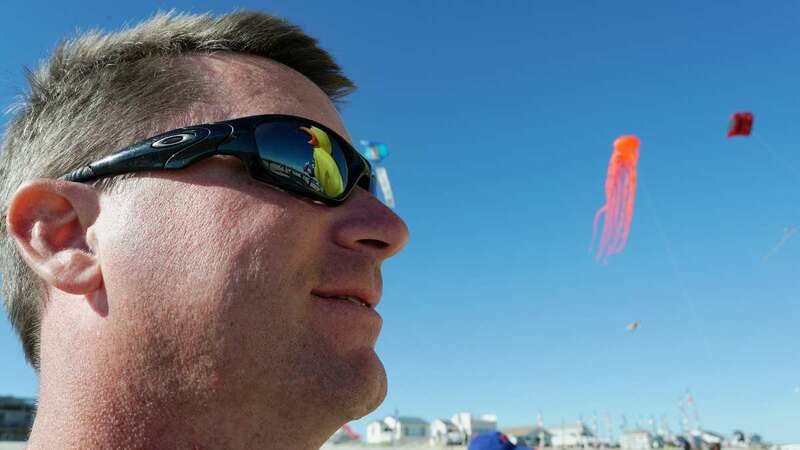 A few feet away, son Mike Dallmer, Jr., is working hard on keeping children safe while playing under large inflatables ‘bouncers’. 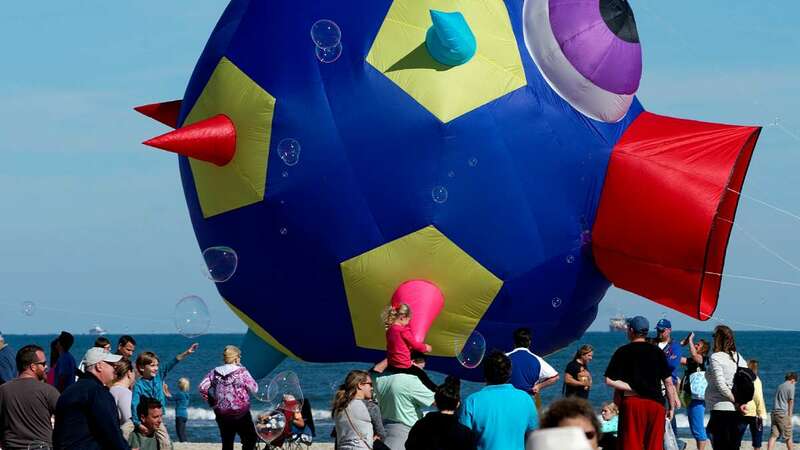 Thought up at the family table, the father and son team built one of the festival’s more popular items, a 27 foot tall inflatable ‘rubber duck’, which took them 300 hours to stitch together. 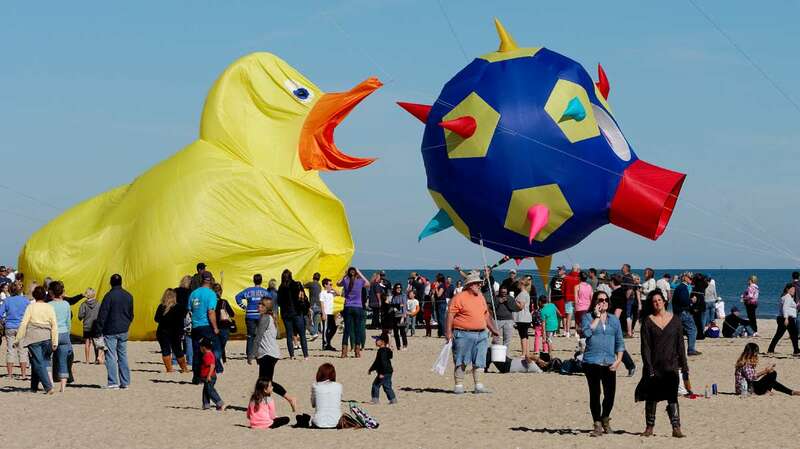 The kids were drawn to Ducky, and a slightly smaller inflatable spiked ball. 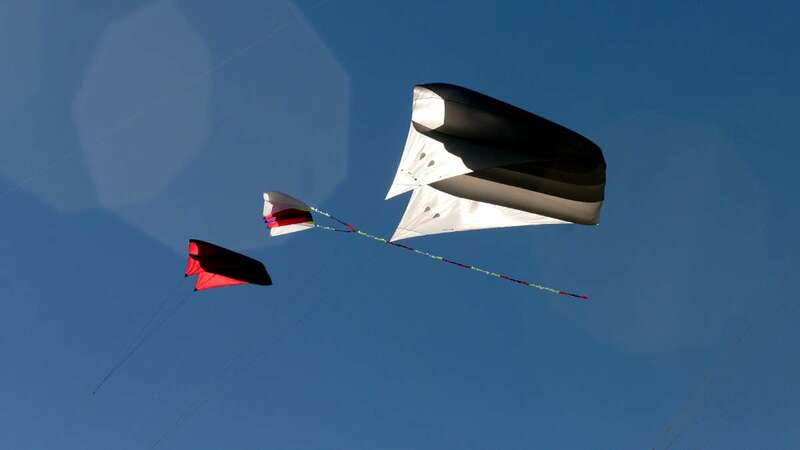 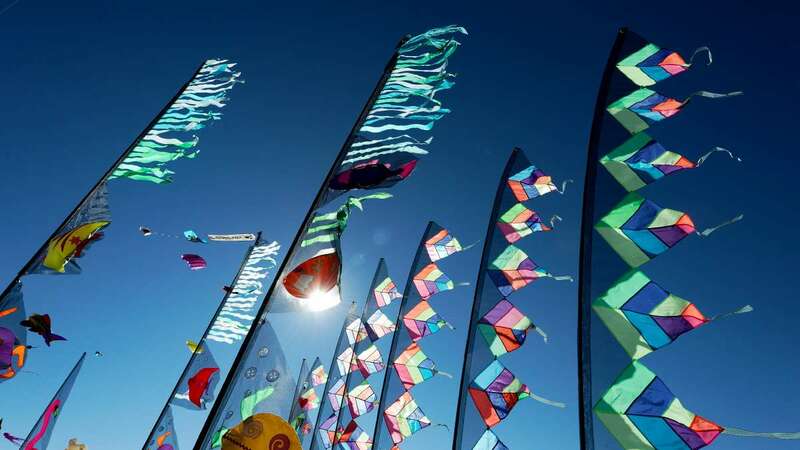 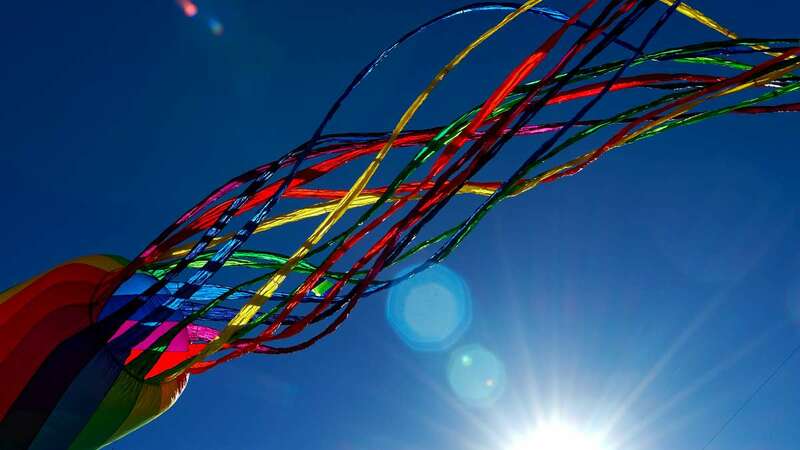 The shapes are hovering only a few feet over the ground, by hanging off the kite strings of a kite much higher. 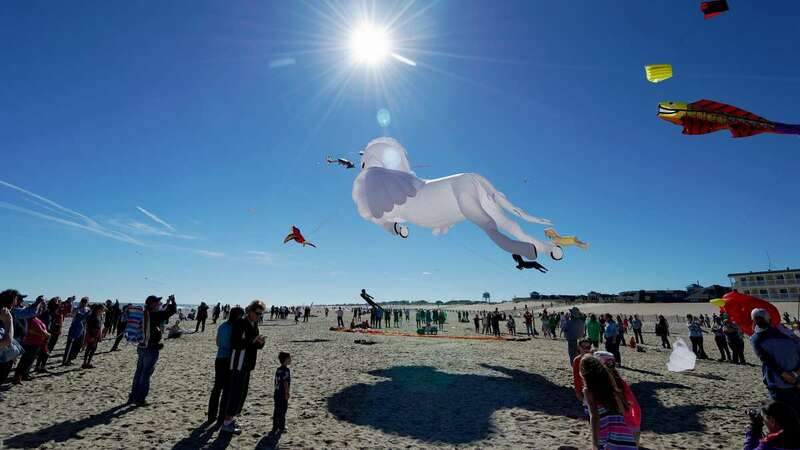 Many children enjoyed being underneath the inflatables as the wind animated them as if they had a will of their own. 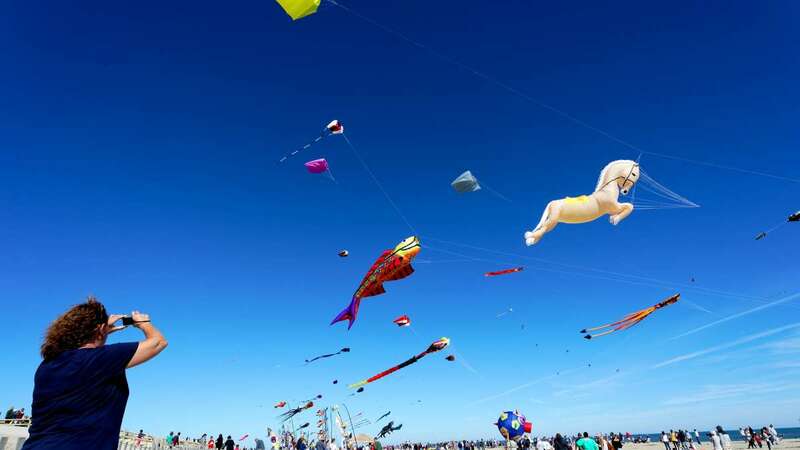 Enjoy our photos of the 2015 inaugural International Kite Festival ‘LBI FLY’ being held over the Columbus Day weekend at Long Beach Island.